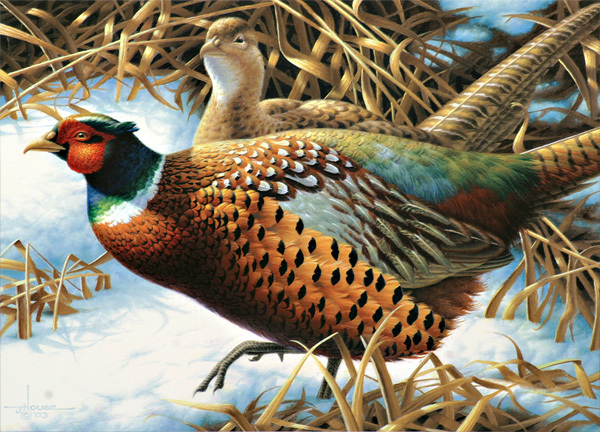 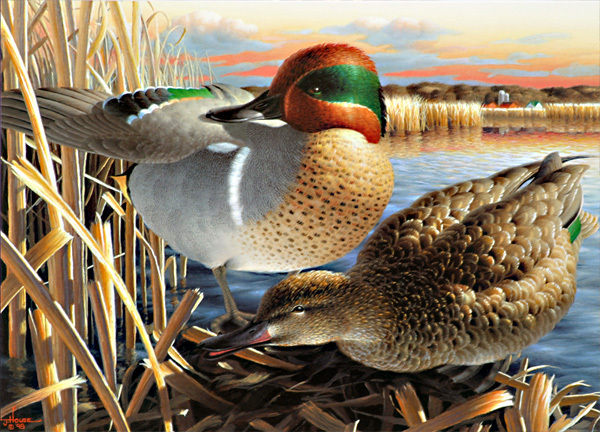 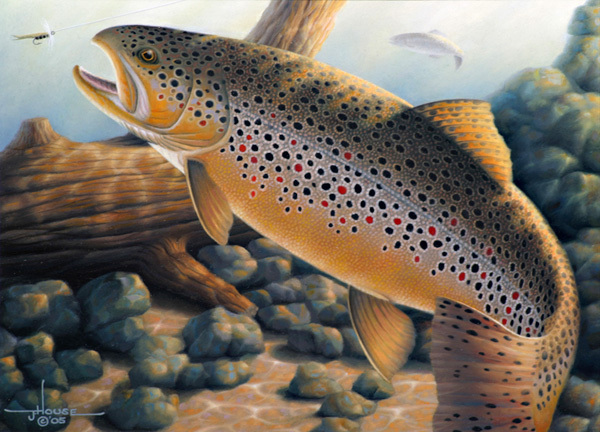 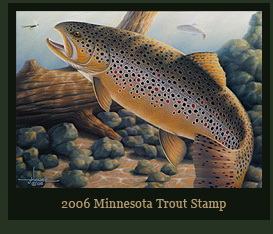 Every year for over 30 years, the Minnesota Department of Natural Resources (DNR) has held annual art contests where artists compete for the honor of having their artwork on the actual small stamps that hunters and fishermen must purchase. 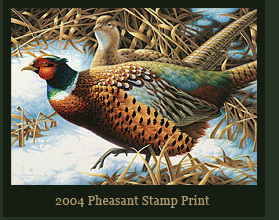 They have become known as "Stamp contests", and to win one of these highly competitive contests is to garner recognition in the field of some of the nation's best wildlife artists. 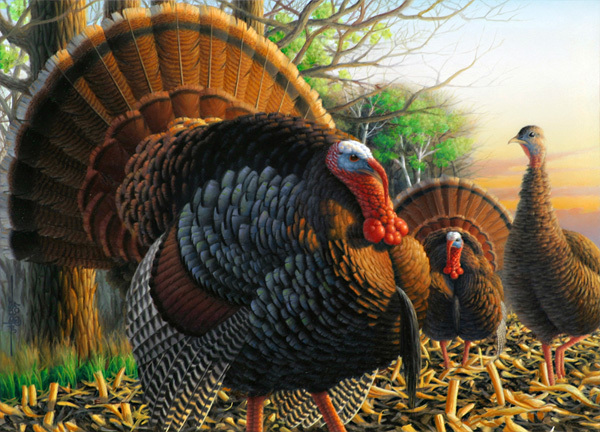 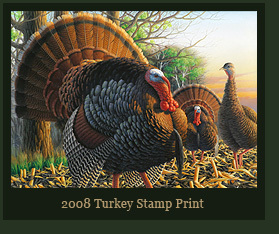 Over the years John has entered these contests approximately 15 times to get his wins, and upon winning the Turkey Stamp, he became the first and only artist to win all four of Minnesota's four Stamp contests, the "Minnesota Grand Slam." 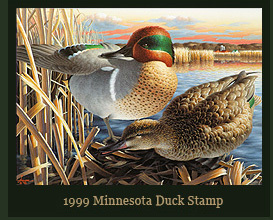 With one win in each category making a nice, clean collection, John will be entering no more Minnesota DNR Stamp contests.